We are seeking to appoint an enthusiastic Paediatric Consultant with special interest in paediatric gastroenterology to compliment the department. The successful applicant will join a productive team of 16 Consultants. The post holder will complement the current team, and will ensure we have adequate gastroenterology cover within this expanding subspecialty. The post will also provide consultant cover to the main in-patient unit at PRH with Consultant led ward rounds. It also includes non-resident general paediatric consultant support out of hours. Our vision is for self-fulfilment of all members of the team, including trainees, while being advocates to children & families, to provide excellent and safe care, ensuring patient well-being, enabling us to be proud of the care we deliver. The Paediatric department within the trust operates in 2 hospitals. Our inpatient care is situated at Princess Royal Hospital, Telford with a Medical day case unit at Royal Shrewsbury Hospital, Shrewsbury. Both sites operate outpatient clinics in addition to outreach clinics in nearby community hospitals. 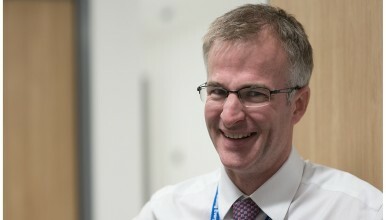 The Paediatric department supports not only the single largest Paediatric ward for the County – 36 beds, with specialist high-dependency and oncology areas, but also a Children’s Assessment/Short-Stay 8-bedded unit at the Princess Royal Hospital and a Paediatric Medical Day case Unit at the Royal Shrewsbury Hospital which are designed to facilitate Hospital admission avoidance. There are separate Neonatal and Paediatric consultant rotas. The post holder will not be covering the neonatal unit. Shropshire is a beautiful county located between the West Midlands and North Wales. Whilst rural and home to the Shropshire Hills it is anything but sleepy. The county is bustling with idyllic towns including Shrewsbury, Oswestry, Bridgnorth and Ludlow, with plenty to do regardless of your interests. The location gives an excellent opportunity for good work life balance.